The Sauvignon Blanc Lafòa Range represents the outstanding quality by Colterenzio, a wine made with grapes from selected vineyards in the Cornaiano area, characterized by an unmistakable style, all played on a delicate balance between fruit and acidity. An unforgettable white wine. CLASSIC RANGE Lafóa: from a pilot vineyard to excellent wines Lafóa is a byword for the beginning of the Alto Adige quality initiative and the pioneering work of the Cantina Colterenzio in the 1980s. At the time, the wine pioneer Luis Raifer not only planted new grape varieties on his vineyard named Lafóa, but at the same time introduced new quality standards: less yield for better grapes and better wines. It was exactly on this pilot vineyard that the “ Lafóa idea ” was born: the introduction of new quality standards that until this very day meet with the winegrowers and staff of Cantina Colterenzio. Lafóa stands for full-bodied white and red wines that are nonetheless very elegant and have great aging potential . THE WINE The Sauvignon Blanc Lafòa Range represents the outstanding quality by Colterenzio , a wine made with grapes from selected vineyards in the Cornaiano area, characterized by an unmistakable style, all played on a delicate balance between fruit and acidity. An unforgettable white wine. THE COMPANY The wines from the hamlet of Colterenzio were favourites of Archduke Sigismund when he resided at Firmiano Castle in the 15th century, though the area was producing fine wines much earlier. Around 15 b.C. a Roman country gentleman named Cornelius settled here and established his "Cornelianum" wine estate and the first wine culture in the area. The Roman name eventually evolved into "Cornaiano", the village Colterenzio calls home. The Colterenzio winegrowers' co-operative was founded by 28 vintners in 1960. Over the years other passionate viticulturalists from diversified micro-zones in the area joined the collective, and today nearly 300 members cultivate approximately 300 hectares of vineyards. Ambassadors Those familiar with wine in Alto Adige would inevitably have heard references to Luis Raifer, a pioneer in promoting authentic and prestigious grape-growing in the region since 1979. His motto "back to the origins" clearly states Colterenzio's focus throughout the years, referring to the typical and unique characteristic of each grape variety. His son Wolfgang has been implementing this philosophy since 2005. He joined the company as winemaker first, then turned to the export sales department and has been the CEO since 2010. He now explores market trends together with Max Niedermayr (Chairman), Martin Lemayr (Winemaker), Hubert Dorfmann (Accounting) and Letizia Pasini (Export Manager), investigating possibilities for the global expansion of the Colterenzio brand. Terroir Terroir indicates the unification of natural environment and agricultural tradition of a region which lead a wine to be unique. Alto Adige is a region of contrasts: the point where northern and southern Europe meet, Germans and Italians, snow-covered mountains and fruitful valleys, Alpine and Mediterranean climates a unique region with authentic features, managed in harmony to produce wines that express the notable character of this territory. Colterenzio is located in Cornaiano, one of the several picturesque villages nestled among the vineyards in an area of cool, rolling vine-covered hills, south of Bolzano. On these hills, crafted and smoothed by glaciers during the last Ice Age, Colterenzio procured the ideal location for planting its vines. The growing area includes vineyards located between 250 and 550 m a.s.l. and boasts a large spectrum of different varieties, soil compositions, micro-climates and ripening phases. Specific to this area: protection by the Alps, significant difference in day-night temperatures during the ripening phase, 1800 hours of sun/year, and consistent aeration from Lake Garda. The resulting wines unite crisp, Alpine fragrance with Mediterranean spice and warmth. Sustainable farming To produce top-class grapes, the vine has to respect the ecosystem and be in perfect balance with it. The sustainable viticulture and the quality control system in place at Colterenzio, are carried out at different levels: aiming to improve the fertility of the soil using organic compost, utilizing the botanical matter resulting from pruning vines and cutting ground cover selection and use of clones and rootstocks careful pruning which reduces the yield per plant, paying particular attention to the cuts Disbudding Defoliation carried out in the vineyards performing "green operations": defoliation in the vineyards for greater ventilation and exposure to light and "green harvest" or thinning, in case of overproduction of the plant using environmentally friendly substances for treatments (eg mating disruption) The new Cellar The natural law of gravity lies at the heart of the new grape processing facility, opened between the 2009 and 2010 harvests as the culmination of long preliminary work and detailed planning. In the ultra-modern tower structure, ripe and healthy grapes from our 300 wine-growing families are carefully processed to produce premium wines. The handpicked grapes are delivered in open, 200 kg crates, ideal for transport, and sent by means of gravity to the de-stemming and pressing machines on the floor below. All red wine grape varieties are de-stemmed, softly pressed and sent directly to the fermenting tanks. White grapes, according to their varietal, are either de-stemmed and pressed or just sent directly, with the means of gravity, to the press machines in the lower level. The new, innovative membrane press machines, softly and slowly process the grapes, applying the use of nitrogen, for the aromatic grape varieties in particular, to protect the grapes from oxidation and to retain and preserve aromatics and flavors contained in the skin. The resulting wines are more intense and more aromatic and even after long cellaring, the aromas are pronounced and distinctive for their variety. With the new cellar, the goal is to use modern stainless steel tanks for both the winemaking and the ageing process of our wines, in order to preserve the high quality, resulting from the hard and passionate work, carried out in the vineyard. Tasting A clean, concentrated floral nose reminiscent of elder and acacia flower with hint of sage; fresh and distinctive on palate with nicely rounded fruit, light oak spice and a crisp finish. Cellaring potential: 6 – 10 years. Lafóa is a byword for the beginning of the Alto Adige quality initiative and the pioneering work of the Cantina Colterenzio in the 1980s. At the time, the wine pioneer Luis Raifer not only planted new grape varieties on his vineyard named Lafóa, but at the same time introduced new quality standards: less yield for better grapes and better wines. It was exactly on this pilot vineyard that the “Lafóa idea” was born: the introduction of new quality standards that until this very day meet with the winegrowers and staff of Cantina Colterenzio. 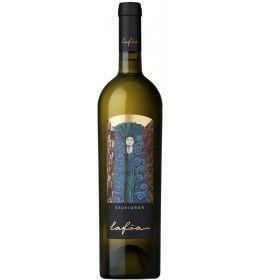 Lafóa stands for full-bodied white and red wines that are nonetheless very elegant and have great aging potential. The wines from the hamlet of Colterenzio were favourites of Archduke Sigismund when he resided at Firmiano Castle in the 15th century, though the area was producing fine wines much earlier. Around 15 b.C. a Roman country gentleman named Cornelius settled here and established his "Cornelianum" wine estate and the first wine culture in the area. The Roman name eventually evolved into "Cornaiano", the village Colterenzio calls home. The Colterenzio winegrowers' co-operative was founded by 28 vintners in 1960. Over the years other passionate viticulturalists from diversified micro-zones in the area joined the collective, and today nearly 300 members cultivate approximately 300 hectares of vineyards. Those familiar with wine in Alto Adige would inevitably have heard references to Luis Raifer, a pioneer in promoting authentic and prestigious grape-growing in the region since 1979. His motto "back to the origins" clearly states Colterenzio's focus throughout the years, referring to the typical and unique characteristic of each grape variety. His son Wolfgang has been implementing this philosophy since 2005. He joined the company as winemaker first, then turned to the export sales department and has been the CEO since 2010. He now explores market trends together with Max Niedermayr (Chairman), Martin Lemayr (Winemaker), Hubert Dorfmann (Accounting) and Letizia Pasini (Export Manager), investigating possibilities for the global expansion of the Colterenzio brand. Terroir indicates the unification of natural environment and agricultural tradition of a region which lead a wine to be unique. Alto Adige is a region of contrasts: the point where northern and southern Europe meet, Germans and Italians, snow-covered mountains and fruitful valleys, Alpine and Mediterranean climates a unique region with authentic features, managed in harmony to produce wines that express the notable character of this territory. Colterenzio is located in Cornaiano, one of the several picturesque villages nestled among the vineyards in an area of cool, rolling vine-covered hills, south of Bolzano. On these hills, crafted and smoothed by glaciers during the last Ice Age, Colterenzio procured the ideal location for planting its vines. The growing area includes vineyards located between 250 and 550 m a.s.l. and boasts a large spectrum of different varieties, soil compositions, micro-climates and ripening phases. Specific to this area: protection by the Alps, significant difference in day-night temperatures during the ripening phase, 1800 hours of sun/year, and consistent aeration from Lake Garda. The resulting wines unite crisp, Alpine fragrance with Mediterranean spice and warmth. The natural law of gravity lies at the heart of the new grape processing facility, opened between the 2009 and 2010 harvests as the culmination of long preliminary work and detailed planning. In the ultra-modern tower structure, ripe and healthy grapes from our 300 wine-growing families are carefully processed to produce premium wines. The handpicked grapes are delivered in open, 200 kg crates, ideal for transport, and sent by means of gravity to the de-stemming and pressing machines on the floor below. All red wine grape varieties are de-stemmed, softly pressed and sent directly to the fermenting tanks. White grapes, according to their varietal, are either de-stemmed and pressed or just sent directly, with the means of gravity, to the press machines in the lower level. The new, innovative membrane press machines, softly and slowly process the grapes, applying the use of nitrogen, for the aromatic grape varieties in particular, to protect the grapes from oxidation and to retain and preserve aromatics and flavors contained in the skin. The resulting wines are more intense and more aromatic and even after long cellaring, the aromas are pronounced and distinctive for their variety. With the new cellar, the goal is to use modern stainless steel tanks for both the winemaking and the ageing process of our wines, in order to preserve the high quality, resulting from the hard and passionate work, carried out in the vineyard.